Wrongful death is the term used when someone, by action or by failure to act (neglect), causes the death of another person. Wrongful death is a civil action rather than a criminal action. 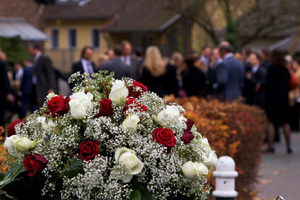 Victims of wrongful death cannot pursue compensation for themselves. The law, therefore, permits that victim’s family or estate to bring a wrongful death action to collect damages on their behalf. The intent is to provide fair compensation to family members who have suffered either financially or emotionally from the wrongful death. Damages, or the court awarded compensation, are can be assessed by loss of wages and benefits, loss of companionship, emotional pain and suffering, and punitive damages. that monetary damages did arise from the act. A defendant is held liable (responsible) for a wrongful death only if the defendant's conduct is proved to be the cause of the death. For proof to be established, it must be shown that without the defendant's act or negligence, the death would not have occurred. The time between the defendant's action and the victim’s death is not a factor if can be proved that the defendant's action was the cause of death. If the victim is shown to be partially responsible for his or her death, they could be found to have been comparatively or contributorily negligent. State laws vary on how to assess liability. States can base this on either comparative negligence, contributory negligence, or a mixture of each. Some states will award damage based on the percentage of fault assigned to the victim. For example, assume a victim fails to seek appropriate medical care and that failure led to his or her death. The intervening cause of the victim actions in his own death might exclude grounds for a wrongful death claim, or reduce the amount of damages awarded. In a case of wrongful death, damages are assessed to compensate family members for their loss. There are many ways to calculate damages, but since damages may be awarded for several different reasons, it is important to examine each individual claim carefully. The most obvious financial impact of wrongful death are the actual expenses incurred by medical and death costs. These usually are easy to determine. Less obvious but equally important are the loss of future earnings, benefits, and loss of companionship. These damages include anticipating the lifespan and earnings of the victim, and the impact of the death on remaining family members. Such factors make assigning a dollar value to the impact of loss difficult. A final area of damages is punitive damages. Punitive damages are awarded to punish the defendant, rather than to compensate for a specific loss. They are typically awarded when the action of the defendant was intentional or grossly negligent. There is also a public interest in punitive damages to dissuade like defendants from committing similar acts in the future. If you or someone you love has suffered as a result of a wrongful death, contact a wrongful death lawyer at The Rothenberg Law Firm LLP at 1-800-624-8888 or submit an online InjuryLawyer.com free case evaluation.The initial consultation is FREE of charge. If we agree to handle your case, there is no legal fee unless we are successful in getting you money. These lawsuits must often be filed before an applicable expiration date, known as a Statute of Limitations. It is important, therefore, to please call or contact us immediately so that you do not forego your rights to money and other benefits.